Asian Canadian Writers' Workshop (ACWW): Love. Asian. Movies. Baby. From horror to action, comedy to romance, Asian films are breathing life into our film industry: Why the sudden love? Mongrel Media knows the answer. You’ve probably met them before: the fanatical Bruce Lee devotees, the world-weary Kurosawa connoisseurs, and the purple-haired anime fans hovering around the foreign movie section in video stores. Marginal, edgy, and far removed from the shelves of mainstream blockbuster titles, Asian films have always been an obsession within small cliques of fans lucky enough to discover them. With no TV trailers, no promo posters, the Asian film genre had an almost closeted feel to the uninitiated. Populist Hollywood movie lovers would often roll their eyes and snort at the obscurity and subtitle-laden dialogue of classics like Dersu Uzala, Grave of the Fireflies, and Raise the Red Lantern. No one could have imagined what was about to happen next. Fast forward to 2005: we flip through theGeorgia Straight, Vancouver’s premium free weekly newspaper, and see full-page colour donning rave reviews of Stephen Chow’s Kung Fu Hustle. The New York Times has hailed it as a “feverish, mind twisting, revenge tale”. We walk by construction sites and street corners plastered with Stephen Chow’s face. On the web, we see advertisements of stringy-haired ghosts from the latest Asian horror films. The same people who were devoted fans of Fast and Furious are now showing up to buy tickets for Zhang Yimou’s Hero. What’s happened? Are audiences finally opening up to Asian-produced films, or are the films opening up to a wider audience? The transformation of Asian films from marginality to mainstream didn’t happen overnight. Mongrel Media, Canada’s largest foreign film distributor, can testify to this. 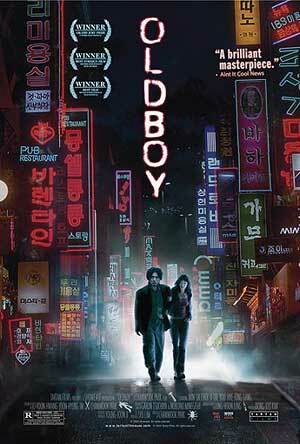 Founded back in 1994, the current distributor of cult hits like Old Boy and The Corporation was the brainchild of visionary Hussein Amarshi. It had originally started off as a “boutique operation” catering to cosmopolitan viewers who shunned the Wal-Mart-style mass distribution of cheap, shoddy and ill-conceived movies to audiences. Tom Alexander, Mongrel Media manager of sales and marketing, recalls that viewers were looking for something “unique, revolutionary and theatrically daring”, and films from Asia were a perfect answer to that call. Emboldened by the success of hit Asian films like Bollywood Hollywood, Mongrel launched an aggressive marketing campaign to propel Asian films obscurity into the limelight. Fans no longer have to look for hole-in-the-wall theatres to watch their movies; gone are the days of hunching over to squint at the rare mention of an ethnic film in local movie listings. From a certain point on, the international films have come to the audience, and not the other way around. Now, the ads of Asian powerhouse movies jump right into your face in full colour, featured everywhere from People magazine to CBC radio. 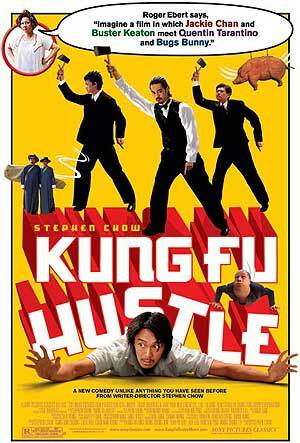 Thanks to companies like Mongrel, once- obscure Asian films are competing neck-and-neck with some of the big-shots at the box office, with Hong Kong comedy Kung Fu Hustleraking in $17 million and $70 million abroad. What is the big secret behind the success of films coming out of China, Japan and Korea over the past several years? Some would say that it boils down to market value. Alexander points out the “booming economic fortunes of China and other Asian countries” have helped, with “more and more attention being paid to their cinema”. After all, that would explain the world’s newfound craze with Bollywood and Hong Kong cinema, rather than traditional art-house favorites from Europe and parts of the Middle East. But that oversimplifies the crossover phenomenon we are witnessing. In reality, the groundwork for this was laid out by a combination of lucky factors. By Nancy Han in Ricepaper Magazine Issue 10.3.